T. Ravi and Anr Vs. B. Chinna Narasimha and Ors. etc. Respondent: B. Chinna Narasimha and Ors. etc. 1. Leave granted in S.L.P. (C) Nos. 23864-23865 of 2011. 2. In the appeals, the final decree which has been drawn up in a partition suit with respect to item No.6 of Schedule ‘B’ pertaining to land admeasuring 68 acres 10 guntas comprised in survey Nos. 63, 68, 69 and 70 situated at village Madhapur, District Ranga Reddy, Hyderabad is in question. 3. The property was matruka property of Late Mohd. Nawab Jung who passed away on 25.4.1935. Civil Suit No.82/1935 was instituted by Mohd. Hashim Ali Khan, son of Mohd. Nawab, in Darul Qaza City Court, Hyderabad, for partition of matruka properties of Late Nawab comprised in Schedules ‘A’, ‘B’ and ‘C’. The suit was contested, inter alia, by defendant No. 1. Darul Qaza Court was abolished in the year 1951. On abolition of original jurisdiction of the High Court, the case was assigned to the City Civil Court. It appears that later on as the file was not received by the City Civil Court from the Custodian, it passed order dated 8.1.1955 to the effect that the file of the case was not yet received, the plaintiff was also absent, as such the case be closed for the time being and be revived only on receipt of the file and on an application to be filed by the plaintiff. 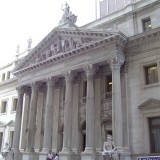 The city civil court understood the order to be of dismissal of suit in default. The plaintiff moved an application for revival of the suit. The city civil court directed the plaintiff vide order dated 1.12.1955 to deposit Rs.50 towards costs and if the costs were not paid by 15.12.1955, the suit shall stand dismissed. The plaintiff could not pay the cost within the stipulated time and prayed for extension of time which was not extended. The order was questioned by the plaintiff in the High Court by way of filing an appeal. The High Court decided the appeal vide order dated 23.1.1962 and held that vide order dated 8.1.1955, the suit was not dismissed for default. It was an order adjourning the suit with a direction that it may be revived only on receipt of the file from the Custodian, therefore, there was no necessity for the plaintiff to file an application under Order 9 Rule 9 CPC for restoration. Thus the trial court had no jurisdiction to direct the plaintiff vide order dated 1.12.1955 to pay the cost of Rs.50 to the defendants on or before 15.12.1955 as a condition precedent. The appeal was allowed and the order dated 1.12.1955 was set aside. The order passed by the High Court attained finality. Thereafter, the suit was re-numbered as Civil Suit No.42/1962 in the city civil court. Hamid Ali Khan, defendant No.1 sold Item No.6 of Schedule ‘B’ property in area 68 acres 10 guntas on 23.11.1959 to Bala Mallaiah vide registered sale deed. He sold the share inherited by other co-heirs also to Bala Mallaiah. It was found in the preliminary decree for partition dated 24.11.1970 that defendant No.1, Hamid Ali Khan, was having only 14/104th share in matruka properties. The plaintiff, and defendant Nos.2, 3 and 12 were also having 14/104th share each. Defendant Nos.4 to 6, daughters of Nawab had 7/104th share in matruka properties. Nurunnisa Begum, widow of Late Nawab, defendant No.7 was entitled to 13/104th share in matruka properties. 4. Aggrieved by the preliminary decree for partition determining the shares to the aforesaid extent, the plaintiff and legal heirs of defendant No.1 i.e. defendant Nos.23 to 25 and defendant No.27 preferred appeal in the year 1972 before the High Court. Cross-objections were also preferred by defendant No.6 “ Shareefunnisa Begum. The High Court dismissed the appeals and allowed the cross-objections of defendant No.6 with respect to item No.4 of Schedule ‘A’ property. The plaintiff questioned the decision by way of filing LPA No.199/1977 and the same was dismissed vide order dated 12.11.1976, the decision with respect to preliminary decree has attained finality. 5. Defendant No.25 “ daughter of defendant No.1 “ filed IA No.854/1984 for passing a final decree in terms of the preliminary decree passed in the partition suit. During the pendency of the final decree proceedings, an Advocate-Commissioner was appointed to divide the suit schedule land by metes and bounds as per the preliminary decree passed on 24.11.1970 for which an application (IA No.31/1989) was filed on 16.1.1989. He submitted a report in December, 1993 in respect of item No.6 of Schedule ‘B’ of preliminary decree dated 24.11.1970. The Advocate-Commissioner divided the suit schedule property on 28.11.1993. He also noticed that third parties were in possession of the land and he had also seen a signboard of Surya Enclave Developers. The sale transaction took place during the pendency of the preliminary decree proceedings on 23.11.1959. The LRs. of Bala Mallaiah were entitled to the share of Hamid Ali Khan, defendant No.1. On 6.10.1997, pending final decree proceedings, plaintiff and defendant Nos.4 and 14 to 17 i.e. LRs. of defendant No.5 assigned their interest in item No. 6 of plaint ‘B’ schedule properties in favour of D.A.P. Containers Pvt. Ltd. The assignees were brought on record as defendant Nos.99 to 112 in the final decree proceedings vide order dated 22.4.1999 passed by the Senior Civil Judge, City Civil Court, Hyderabad. 6. On 16.7.2001, L.Rs. of Bala Mallaiah filed IA No.978/2001 and sought impleadment to contest the matter in respect of item No.6 of plaint ‘B’ Schedule properties. Vide order dated 14.10.2003, LRs. of Bala Mallaiah were impleaded. On 2.4.2004, subsequent purchasers of the disputed property filed an application (IA No. 544/2004) under Order VII Rule 11 CPC for rejection of the final decree proceedings. It was resisted by appellants and rejected by the court vide order dated 5.7.2005 and ultimately the final decree came to be passed on 7.7.2005 in terms of the preliminary decree dated 24.11.1970. In the final decree proceedings initiated by IA No.854/1984, share of each heir was recognized in the disputed property being Item No.6 of Schedule ‘B’ plaint. The rights of Hamid Ali, vendor of Bala Mallaiah and subsequent purchaser’s share was recognized to the extent of 14/104th share. Rights of the assignees/appellants were also recognized in terms of the assignment deed and separate possession was given to them. The final decree was questioned in Appeal Nos.385 and 386 of 2006 which were filed by LRs. of Bala Mallaiah and purchasers from them with respect to item No.6 of plaint ‘B’ schedule property. The appeals were dismissed on 27.4.2007. Aggrieved thereby, Second Appeal No.410/2008 was preferred. Appeal had been allowed by the impugned judgment and decree dated 15.4.2010. 7. Before the final decree could be passed in the case, civil suit being OS No.294/1993 was filed for perpetual injunction by L.Rs. of Bala Mallaiah against Hashim Ali Khan and others on the basis of sale deed dated 23.11.1959. The suit was dismissed by Junior Civil Judge, Hyderabad West & South vide judgment and decree dated 8.6.1998. It was held that the plaintiffs were not entitled to claim adverse possession over the suit schedule property and that their purchase and possession was subject to the result of the partition suit, O.S. No.42/1962. It was also held that the possession of the plaintiff could not be said to be rightful possession and they could claim only to the extent of their vendor’s share and not over the entire property, and thus, they were not entitled to the relief of injunction against the defendants. As against the judgment and decree of the trial court, an appeal was preferred in the Court of Additional District Judge, NTR Nagar, Hyderabad and the same was dismissed on 20.7.2000. Second Appeal No.465/2001 preferred against the same in the High Court was dismissed vide judgment and order dated 26.9.2001. 8. Land grabbing proceedings under the Andhra Pradesh Land Grabbing (Prohibition) Act, 1982 initiated by the L.Rs. of Bala Mallaiah were dismissed by the Special Court in LGC No.148/1996 vide order dated 13.5.1997. It was held that the application was not maintainable. The court took cognizance of the preliminary decree proceedings, appointment of the Commissioner and also held that it was not open to contend that the doctrine of lis pendens had no application. The application was ultimately dismissed. The order was questioned by way of filing W.P. No.15577/2001 in the High Court of Andhra Pradesh. The High Court simply observed that the observations made by the special court would not come in the way of the petitioners to work out their rights in accordance with law in the partition suit, that is to say in the final decree proceedings. 9. There was yet another litigation initiated by Boddam Narsimha, nephew of Bala Mallaiah. On 16.12.1998 an application was filed before the Tribunal, Ranga Reddy District, seeking declaration of protected tenancy under section 37A of the A.P. (Telangana Area) Tenancy and Agricultural Lands Act, 1950. The same was dismissed vide order dated 24.8.1999. The appeal preferred to the Joint Collector was also dismissed on 13.3.2000. CRP No.2229/2000 before the High Court of Judicature at Andhra Pradesh was dismissed by the Single Judge vide order dated 16.4.2001. Aggrieved thereby, C.A. No.3429/2002 – Boddam Narsimha v. Hasan Ali Khan (dead) by LRs. & Ors. – (2007) 11 SCC 410 was filed, and the same was also dismissed by this Court. 10. The High Court while passing the impugned judgment and decree under appeal has held that the sale deed dated 23.11.1959 was not hit by the principle of lis pendens under section 52 of the Transfer of Property Act. During the pendency of the suit, defendant No.1 had leased out the land to Bala Mallaiah and later on had alienated the same on 23.11.1959. The decision of this Court in Boddam Narsimha (supra) had been relied upon to hold that Bala Mallaiah was declared as Pattedar, that would bind all the parties. It was necessary for the plaintiff to take steps to get the sale deed dated 23.11.1959 cancelled in accordance with law. It has also been held that as the sale by defendant No. 1 to Bala Mallaiah was not effected during lis pendens, in the absence of challenge to the sale deed and due to non-impleadment in the suit, by virtue of adverse possession, title has been perfected. At the same time, the High Court has held that till the final decree is passed the suit is said to be pending and the preliminary decree only determines the rights of the parties. Thus, the final decree which has been passed by the trial court with respect to item No.6 of plaint ‘B’ schedule property was impracticable. 11. It was submitted by learned senior counsel appearing on behalf of the appellants that in fact there was no dismissal of the suit in 1955 as held by the High Court in the year 1962. Thus, the sale deed dated 23.11.1959 was clearly during lis pendens. The suit was filed in the year 1935 and the preliminary decree for partition was passed in the year 1970 and final decree has been passed in 2005. It was further contended that it was not open to defendant No.1 to sell more than his share. He had no authority to sell the land belonging to the share of other co-heirs as Muslims inherit the property as tenants-in-common and not as joint tenants. It was further submitted that there was no necessity of questioning the sale deed as it was subject to the provisions of lis pendens contained in section 52 of T.P. Act. The High Court has gravely erred in law in holding that the title had been perfected by virtue of adverse possession. It was also contended that this Court in Boddam Narsimha (supra) did not adjudicate the question of title of Bala Mallaiah. Thus, the High Court has gravely erred in law in reversing the judgment and decree passed by the trial court as affirmed by the first appellate court. The High Court has also erred in law in holding that it was impracticable to pass the decree with respect to item No.6 of schedule ‘B’ property. Learned senior counsel appearing on behalf of the appellants submitted that the decision in Civil Suit No.289/1993 for permanent injunction which was based upon title, operates as res judicata on various issues. The plea of estoppel has also been raised on behalf of the appellants. It was further submitted that the plea of equity with respect to partition of property was not available to Bala Mallaiah or to the purchasers from him. It was also submitted on behalf of the appellants that the final decree proceedings qua other item No.2 of schedule ‘B’ property have attained finality in which the order passed by the Division Bench of the High Court of Andhra Pradesh in LPA No.104/1997 has been affirmed by this Court by a speaking order passed in SLP [C] No.3558/1999 decided on 1.10.1999. Thus, the decision of this Court is binding upon the parties and the findings recorded by the High Court therein on questions of law in its judgment have attained finality. Thus, the High Court has erred in law in holding otherwise. 12. Learned senior counsel appearing on behalf of respondents have submitted that the sale deed dated 23.11.1959 in favour of Bala Mallaiah is valid and binding as disputed land could have been alienated even during the pendency of the suit for partition. It was strenuously submitted on behalf of the respondents that the sale in question could not be said to be during lis pendens as the suit in fact stood dismissed in 1955 and was later on revived by the High Court in 1962. The decision of this Court in Boddam Narsimha (supra) is binding in which foundational basis for the judgment was the fact that Bala Mallaiah was a pattedar of the land, and it was necessary to avoid the sale deed in question by getting it cancelled in accordance with law within the period of limitation and that by virtue of adverse possession, the right and interest had been perfected by the purchasers. It was also submitted that even otherwise, the equities available to a purchaser ought to have been applied in the present case as the principle of equitable adjustment is applicable to Mohammedan Law and the disputed property ought to have been allotted to the share of defendant No.1 in order to adjust the equities without affecting the rights of other co-heirs. Whether the decision in Original Suit No.294 of 1993 operates as res judicata, if yes to what extent? Whether the sale deed dated 23.11.1959 executed by defendant no.1 in favour of Bala Mallaiah is hit by doctrine of lis pendens? Whether section 52 of T.P. Act renders a transfer pendente lite void ? What is the effect of preliminary decree for partition and the extent to which it is binding ? Whether it was necessary to file a suit for cancellation of sale deed dated 23.11.1959? Whether Bala Mallaiah, his heirs and purchasers had perfected their right, title and interest by virtue of adverse possession? Whether under the Muslim law, defendant no.1 being a co-sharer could have alienated the share of other co-sharers in the disputed property? Whether the purchaser has a right to claim equity for allotment of Item No.6 of Schedule ‘B’ property in final decree proceedings in suit for partition? If yes, to what extent ? Whether sale was for legal necessity, and thus binding ? What is the effect of proceedings under the Tenancy Act, 1950 ? What is the effect of decision of this Court and High Court with respect to final decree proceedings in Item No.2 of Schedule ‘B’ property ? Whether there is waiver of right by appellants ? Whether appellants are guilty of delay or laches ? What is the effect of the decision of the Court under the Urban Land Ceiling Act? (i) In re : whether the decision in Original Suit No.294 of 1993 operates as res judicata, if yes, to what extent? "18. In India, Mulla has referred to similar tests (Mulla, 15th Edn., p. 104). The learned author says: a matter in respect of which relief is claimed in an earlier suit can be said to be generally a matter ‘directly and substantially’ in issue but it does not mean that if the matter is one in respect of which no relief is sought it is not directly or substantially in issue. It may or may not be. It is possible that it was ‘directly and substantially in issue and it may also be possible that it was only collaterally or incidentally in issue, depending upon the facts of the case. The question arises as to what is the test for deciding into which category a case falls? 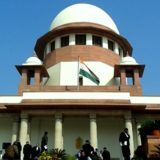 One test is that if the issue was ‘necessary’ to be decided for adjudicating on the principal issue and was decided, it would have to be treated as ‘directly and substantially’ in issue and if it is clear that the judgment was in fact based upon that decision, then it would be res judicata in a latter case (Mulla, p. 104). One has to examine the plaint, the written statement, the issues and the judgment to find out if the matter was directly and substantially in issue (Isher Singh v. Sarwan Singh AIR 1965 SC 948 and Syed Mohd. Salie Labbai v. Mohd. Hanifa (1976) 4 SCC 780). We are of the view that the above summary in Mulla is a correct statement of the law. ‘It is not to be assumed that matters in respect of which issues have been framed are all of them directly and substantially in issue. Nor is there any special significance to be attached to the fact that a particular issue is the first in the list of issues. Which of the matters are directly in issue and which collaterally or incidentally, must be determined on the facts of each case. A material test to be applied is whether the court considers the adjudication of the issue material and essential for its decision.’ "
(a) Where a cloud is raised over the plaintiff’s title and he does not have possession, a suit for declaration and possession, with or without a consequential injunction, is the remedy. Where the plaintiff’s title is not in dispute or under a cloud, but he is out of possession, he has to sue for possession with a consequential injunction. Where there is merely an interference with the plaintiff’s lawful possession or threat of dispossession, it is sufficient to sue for an injunction simpliciter. (b) As a suit for injunction simpliciter is concerned only with possession, normally the issue of title will not be directly and substantially in issue. The prayer for injunction will be decided with reference to the finding on possession. But in cases where de jure possession has to be established on the basis of title to the property, as in the case of vacant sites, the issue of title may directly and substantially arise for consideration, as without a finding thereon, it will not be possible to decide the issue of possession. (c) But a finding on title cannot be recorded in a suit for injunction, unless there are necessary pleadings and appropriate issue regarding title (either specific, or implied as noticed in Annaimuthu Thevar v. Alagammal (2005) 6 SCC 202. Where the averments regarding title are absent in a plaint and where there is no issue relating to title, the court will not investigate or examine or render a finding on a question of title, in a suit for injunction. Even where there are necessary pleadings and issue, if the matter involves complicated questions of fact and law relating to title, the court will relegate the parties to the remedy by way of comprehensive suit for declaration of title, instead of deciding the issue in a suit for mere injunction. 22. It was submitted on behalf of respondents that the findings in O.S. No.294/1993 do not operate as res judicata as it was left ultimately to raise the objections in the final decree proceedings. We are unable to accept the aforesaid submission as there was clear inability to grant injunction and the submission of the plaintiffs that they were having title on entire land on the basis of sale deed dated 23.11.1959, had been negatived. It was found that Bala Mallaiah could have purchased only the share of his vendor Hamid Ali and not the entire disputed property and the purchase was affected by lis pendens. We are of the considered opinion that the finding with respect to purchase being made during lis pendens had attained finality and was not open to question in the present proceedings. Besides, the validity of the sale deed to the extent of the share of the vendor which was sought to be re-agitated in the final decree proceedings, was also not open to be raised in view of clear findings recorded in the suit of 1993. Though we have held so, however nothing turns on the aforesaid finding as to res judicata as we propose to examine both aspects on merits afresh, in view of the conclusions which we propose to record hereinafter. (ii) In re : Whether the sale deed dated 23.11.1959 executed by defendant No.1 in favour of Bala Mallaiah is hit by doctrine of lis pendens? “4. The real question, therefore, is whether in a case like this where an order has been made for the payment of certain money within a certain time for the purpose of getting specific performance and at the same time an order has also been made that if the money is not paid the suit will stand dismissed, the court retains jurisdiction. Though not without hesitation, I have reached the conclusion that in such a case it will be unrealistic and unjust to say that the court retains jurisdiction. Whether the court has retained jurisdiction or not will, in my view, depend very much on the substance of the directions given.. Where.. the court makes also an order that if the amount is not deposited within the time specified the suit will stand dismissed, I find it difficult to agree that the court retains any jurisdiction whatsoever. 26. The decision of this Court in Vareed Jacob v. Sosamma Geevarghese & Ors. (2004) 6 SCC 378 has been relied upon in which it has been laid down thus : “18. In the case of Saranatha Ayyangar v. Muthiah Moopanar AIR 1934 Mad 49 it has been held that on restoration of the suit dismissed for default all interlocutory matters shall stand restored, unless the order of restoration says to the contrary. That as a matter of general rule on restoration of the suit dismissed for default, all interlocutory orders shall stand revived unless during the interregnum between the dismissal of the suit and restoration, there is any alienation in favour of a third party. 27. It was submitted on behalf of the appellants that the sale was subject to the doctrine of lis pendens under section 52 of the T.P. Act. It was further submitted that the said provision is clear and unambiguous and the statutory explanation to the provision makes it clear that the pendency of the suit or proceeding shall be deemed to commence from the date of presentation of the plaint or the institution of the proceeding in the court of competent jurisdiction, and to continue until the suit or proceeding has been disposed of by a decree or an order and complete satisfaction of order or discharge of such order or decree has been obtained or has become unobtainable by reason of the expiration of any period of limitation prescribed for the execution thereof. Thus, the transfer if any made in contravention of Section 52 renders it subservient to the rights of the parties in litigation so that the rights would eventually be determined in a suit. Thomson Press (India) Ltd. v. Nanak Builders and Investors Pvt. Ltd. & Ors. (2013) 5 SCC 397, has been relied on in which this Court has laid down thus : “26. It would also be worth discussing some of the relevant laws in order to appreciate the case on hand. Section 52 of the Transfer of Property Act speaks about the doctrine of lis pendens. Section 52 reads as under: “52. Transfer of property pending suit relating thereto.”During the pendency in any court having authority within the limits of India excluding the State of Jammu and Kashmir or established beyond such limits by the Central Government of any suit or proceeding which is not collusive and in which any right to immovable property is directly and specifically in question, the property cannot be transferred or otherwise dealt with by any party to the suit or proceeding so as to affect the rights of any other party thereto under the decree or order which may be made therein, except under the authority of the court and on such terms as it may impose. Explanation.”For the purposes of this section, the pendency of a suit or proceeding shall be deemed to commence from the date of the presentation of the plaint or the institution of the proceeding in a court of competent jurisdiction, and to continue until the suit or proceeding has been disposed of by a final decree or order and complete satisfaction or discharge of such decree or order has been obtained, or has become unobtainable by reason of the expiration of any period of limitation prescribed for the execution thereof by any law for the time being in force.” It is well settled that the doctrine of lis pendens is a doctrine based on the ground that it is necessary for the administration of justice that the decision of a court in a suit should be binding not only on the litigating parties but on those who derive title pendente lite. The provision of this section does not indeed annul the conveyance or the transfer otherwise, but to render it subservient to the rights of the parties to a litigation. The abovesaid principle of law settled in the year 1937 by the Privy Council is still valid as discerned from the latest judgment of this Court rendered in the case of Kirpal Kaur v. Jitender Pal Singh & Ors. (2015) 9 SCC 356 : “21. The execution of the alleged gift deed by the deceased first defendant in favour of the second defendant is also hit by Section 52 of the Transfer of Property Act, 1882, as the said deed was executed during the pendency of the proceedings and before the expiry of the period of limitation for filing SLP. Further, during the pendency of these proceedings, the second defendant, who has claimed to be the alleged beneficiary of the suit Schedule “B” property on the basis of alleged gift deed should have sought leave of this Court as the donee and brought the aforesaid fact of execution of the alleged gift deed in respect of “B” schedule property by the deceased first defendant, which property has been devolved in his favour, to the notice of this Court as provided under Order 22 Rule 10 of the CPC and defended his right as required under the law as laid down by this Court in a catena of cases. 34. If such a view is not taken, it would plainly be impossible that any action or suit could be brought to a successful termination if alienations pendente lite were permitted to prevail. The Explanation to this section lays down that the pendency of a suit or a proceeding shall be deemed to continue until the suit or a proceeding is disposed of by final decree or order, and complete satisfaction or discharge of such decree or order has been obtained or has become unobtainable by reason of the expiration of any period of limitation prescribed for the execution thereof by any law for the time being in force. 32. We are unable to accept the submissions raised on behalf of the respondents that there was hiatus between 10.12.1955 and 1962 till the order was passed by the High Court as it was misunderstood by the parties that the suit had been dismissed. In our opinion, when the suit itself had not been dismissed vide order dated 8.1.1955, the events subsequent thereto i.e. the trial court vide order dated 1.12.1955 treated it as having been dismissed or that the plaintiff also was left under a wrong impression that the suit had been dismissed in default and cost was imposed on 1.12.1955 and it was not paid up to 15.12.1955, would make no difference. Due to non- payment of costs, by order dated 1.12.1955 the suit stood dismissed, cannot be accepted, as the order was non est in the eye of law. It was an illegal order of treating a pending suit as having been dismissed. No legal fiction can be created so as to treat the suit as having been dismissed when in fact it had not been dismissed at all and as a matter of fact suit had not been dismissed on 8.1.1955. Subsequent order or imposition of costs for its restoration was non est and illegal and was rightly set aside by the High Court. When suit had not been dismissed at all in the eye of law, it is to be treated as pending only. No legal fiction can be created in favour of the respondents that the suit itself had been dismissed on 15.12.1955 due to non-payment of costs for restoration; whereas it was not dismissed at all and the High Court has also held that the order dated 1.12.1955 was without jurisdiction. The said order has to be ignored and was in fact set aside by the High Court. Thus the suit was in fact pending and was wrongly treated as having been dismissed. The High Court has rightly held that it was never dismissed. Thus, in our opinion, the sale deed in question dated 23.11.1959 was executed during lis pendens and the High Court has erred in law in holding otherwise in the judgment impugned herein. (iii) In re: whether section 52 of T.P. Act renders a transfer pendente lite void? 33. Reliance has been placed by learned senior counsel for the respondents on Vinod Seth v. Devinder Bajaj (2010) 8 SCC 1 in which this Court has laid down that the doctrine of lis pendens does not affect the conveyance by a party to the suit but only renders it subservient to the rights of other parties to the litigation. Section 52 will not therefore render a transaction void. This Court has laid down thus : “42. It is well settled that the doctrine of lis pendens does not annul the conveyance by a party to the suit, but only renders it subservient to the rights of the other parties to the litigation. Section 52 will not therefore render a transaction relating to the suit property during the pendency of the suit void but render the transfer inoperative insofar as the other parties to the suit. Transfer of any right, title or interest in the suit property or the consequential acquisition of any right, title or interest, during the pendency of the suit will be subject to the decision in the suit. 34. Reliance has also been placed on A. Nawab John v. V.N. Subramaniyam (2012) 7 SCC 738 in which this Court has laid down thus : “18. It is settled legal position that the effect of Section 52 is not to render transfers effected during the pendency of a suit by a party to the suit void; but only to render such transfers subservient to the rights of the parties to such suit, as may be, eventually, determined in the suit. In other words, the transfer remains valid subject, of course, to the result of the suit. The pendente lite purchaser would be entitled to or suffer the same legal rights and obligations of his vendor as may be eventually determined by the court. It is apparent from the aforesaid Section that the matters which are concluded by preliminary decree cannot be re-agitated in an appeal against the final decree. No appeal was preferred by the purchasers or by defendant No.1 as against the preliminary decree. (v) In re : whether it was necessary to file a suit for cancellation of sale deed dated 23.11.1959 ? (vi) In re: whether Bala Mallaiah, his heirs and purchasers had perfected their right, title and interest by virtue of adverse possession ? 42. In our opinion, the High Court has erred in law in holding that the plaintiffs perfected their title by virtue of adverse possession. The finding is perverse and has no foundational basis. (vii) In re: whether under the Muslim Law, defendant No.1 being a co-sharer could have alienated the share of other co-sharers in the disputed property ? 44. Residuaries take if there are no sharers or if there are sharers, after satisfying their claims. As per Mulla, they will take in the following manner : “65. Residuaries If there are no Sharers, or if there are Sharers, but there is a residue left after satisfying their claims, the whole inheritance or the residue, as the case may be, devolves upon Residuaries in the order set forth in the annexed table (p.74A). The Residuaries or Agnatic heirs were the principal heirs before Islam; they continue to remain the principal heirs in Sunni law. Their premier position is, in Islam, always subject to the claims of near relations mentioned as the Koranic heirs. First they are satisfied by giving them their Koranic shares. Residuaries are the relations whose rights were also recognized by tribal laws in Saudi Arabia before Islam. The rights of residuaries are recognized by the Holy Quran (by implication) and by the traditions of the prophet (PBUH) in very specific terms. “from what is left by parents and near kindred, there is a share for men and a share for woman, whether the property be small or large-a determinate share”. 45. The “distant kindred” is dealt with in section 67 in Mulla’s Principles of Mahomedan Law thus : “67. Distant Kindred (1) If there be no shares or Residuaries, the inheritance is divided amongst Distant Kindred. Thus, in our opinion, courts have to be careful to apply the decision of Muslim law to a case relating to Hindu law and the foreign decisions and vice versa. There cannot be universal application of principles of law on a particular subject. Special laws by which parties are governed are also to be taken into consideration so as to arrive at a just conclusion. 50. In P.N. Veetil Narayani v. Pathumma Beevi & Ors. (1990) 4 SCC 672, it was reiterated that since heirs succeed to the estate as tenants in common, thus, the liability of heirs of a Muslim dying intestate or that of the deceased is to the extent of his share of debt proportionate to his share of estate. If that is proportionate to share of the deceased as inheritance is as tenants-in-common and as independent debtors, not co- debtors or joint debtors. Co-sharers can hardly be classified as joint contractors, partners, executors or mortgagees. They are independent debtors and the debt having been split by operation of law. This Court has laid down thus : “10. These observations in Jafri Begam case ILR (1885) 7 All 822 are prime roots of the theory as to the divisibility of the debt in the hands of heirs of a Muslim intestate. So it would be right to treat it settled that Muslim heirs are independent owners of their specific shares simultaneously in the estate and debts of the deceased, their liability fixed under the personal law proportionate to the extent of their shares. In this state of law it would be unnecessary to refer to other decisions of various High Courts touching the subject. So we proceed on the footing that as many heirs as are defending this cause, there are debts in that number. 14. The heirs of a Muslim dying intestate on whom falls the liability to discharge the debt, proportionate to their respective shares in the estate devolved, can hardly be classified as joint contractors, partners, executors or mortgagees. As held above they are by themselves independent debtors; the debt having been split by operation of law. Inter se they have no jural relationship as co-debtors or joint debtors so as to fall within the shadow of contractors, partners, executors or mortgagees or in a class akin to them. They succeed to the estate as tenants-in-common in specific shares. Even a signed written acknowledgment by the principal or through his agent would bind the principal and not anyone else standing in jural relationship with the principal in accordance with Section 20(2). The Muslim heirs inter se have no such relationship. In this view of the matter, we take the view that the High Court was right in confining the acknowledgment of the debts only to respondent 2 and not extending the acknowledgment to the other co-heirs for their independent position. This Court has also laid down that in that case payment made on account of debt by defendant-respondent 2 as an independent debtor, and not as an agent, express or implied, on behalf of other co-heirs, in the facts established, could not be said to be a payment on behalf of all. 51. This Court again in Kasambhai Sheikh v. Abdulla Kasambhai Sheikh (2004) 13 SCC 385 has held that succession in Mohammedan Law is in specific shares as tenants in common. 52. It was observed in Ram Awalamb v. Jata Shankar AIR 1969 All. 526 that a joint tenancy connotes unity of title, possession, interest and commencement of title; in tenancy in common there may be unity of possession and commencement of title but the other two features as to unity of title and interest are missing. 53. In Mansab Ali Khan v. Mt. Nabiunnisa & Ors. AIR 1934 All 702, a suit was filed by the plaintiffs who had acquired rights in 12/24 sihams in the property in dispute. They claimed possession over the share of the whole property on the ground that one of the defendant-respondents, Mt. Nabiunnissa, had sold certain property to the defendant-respondents Nos.2 and 3. There was an agreement that Mt. Nabiunnisa should remain in possession on the condition that she became liable to pay all the debts due from the deceased. Though the agreement was not proved, the trial court found that certain debts were paid by Mt. Nabiunnisa. It was held that one of the heirs of a deceased Mohamedan was perfectly entitled to alienate his share of the property without getting it partitioned provided he had paid the proportionate share of debt on assessment of property. Spencer, J. — I agree with the judgment of Mr. Justice Abdur Rahim just now pronounced. “15. It may be conceded that the question of adjustment of equities between the vendor and vendee upon a suit by a Muslim co-sharer for partition of the entire property held in co-ownership might properly arise, but we cannot accept the position that, while a Muslim co-sharer elects to sue for partition of some of the properties only held in co-ownership, a vendee can compel him to sue for a general partition, for the purpose of adjusting equities between the co-sharer- vendor and himself. If Mr. Kimatrai’s contention were to prevail, it would put fetters upon what this Court in second Appeal No. 64 of 1942 has held to be an unfettered right of a Muslim co-sharer to claim partition of some of the properties only held in co- ownership, while retaining his co-ownership in the remaining properties. It has also been observed that under the Mohammedan law, the rule of pre-emption proceeds upon a principle analogous to the maxim “sic utere tuo ut alienum non leadas”. The right of preemption is based upon the fact that there can be large number of co-sharers, the preference has to be given to pre-emptor as a right of substitution, but not as a re-purchase in Mohammedan law to cut short the litigation. 61. For the purpose of pre-emption, reliance has also been placed on the decision in Zamir Ahmad v. S. Haidar Nazar & Ors. AIR 1952 All 541, in which it has been observed that where there is a custom relating to pre- emption, the rule of Mohammedan law of pre-emption is not to be applied even on the ground of equity and good conscience. In view of the entry in Wajibularz the custom is complete by itself and can be enforced. The plaintiff being a relative and a co-sharer, accordingly, had a preferential right of pre-emption as against the vendees and was entitled to pre-empt. 62. The decision in Nagammal & Ors. v. Nanjammal & Anr. (1970) 1 MLJ 358 has also been referred to, wherein it has been observed that the preferential right to acquire the share of a co-heir who proposes to transfer his interest in the property or business of the propositus is limited to cases of simultaneous succession and devolution of property upon two or more heirs belonging to Class I. Obviously, the section has been aimed at reducing to some extent at least the inconvenient effects of simultaneous succession by several persons at one and the same time as members of Class I leading to fragmentation and parcelling up, of even small holdings of property. To a degree the section enables a co-heir to retain the property in the family and avoid the introduction of a stranger in the enjoyment of family property if he so desired. Relying upon Inayatullah (supra), it has been observed that it is not lawful for anyone to sell his own share till he has informed his co-sharer who may take or leave it as he wishes; and if he has sold without such information, the co- sharer has a preferential right to the share. It has also been observed that the existence of right of pre-emption is patent and the burden is on the purchaser to establish that other co-heirs declare or waive their preferential right when occasion arose. It is not pretended that purchaser made any reference to non-alienating co-heirs before his purchase. It follows that plaintiffs have not lost their preferential right of purchase by sale and are entitled to have property conveyed to them. 63. On the basis of the aforesaid decisions with respect to the preferential right it is sought to be contended on behalf of the appellants that there is no equity in favour of the purchaser, but under Muslim law co- heirs have the right of preferential purchase and in this case even it is not pretended by the purchaser that he had offered to the co-heirs before purchasing the same vide sale deed dated 23.11.1959. We decline to accept the submission as the property in question is capable of division and it is not a small fraction of property, but partition is of huge property, and as the property admittedly has exchanged several hands by now, we are not inclined to invalidate the sale deed executed by defendant No. 1 in favour of Bala Mallaiah even to the extent of his share i.e. 14/104th on the basis of principle of pre-emption of Muslim law. It would be too late and iniquitous to invoke the principle of pre-emption in such a case, particularly when no such plea was raised at the relevant time and in the courts below. In case heirs were desirous of raising it, they should have raised their plea timely. 64. In Shaik Mohd. Ali Ansari v. Shaik Abdul Samed (Died) per LRs (2012) 4 ALD 680 (DB), the question of fiduciary relationship has been discussed, but in the instant case it is not the case set up by the objectors/purchasers that the sale deed was the outcome of fiduciary relationship. 65. The parties have been litigating since 1935 for partition of property. In the instant case sale by Hamid Ali Khan, defendant No.1 is not of undivided share but that of a specific property i.e. 68 acres 10 guntas in which he had only 14/104th share. Thus being a tenant in common he had no authority or right to sell the share of other co-owners. The vendor had the right to sell to the extent of his own share considering the nature of succession amongst Mohammedans. Thus the sale of property of other co- sharers was illegal and void. 66. Similar question arose in Mansab Ali Khan (supra) in which it has been laid down that if partition has not been effected the heir can only sell his undivided share and cannot sell a particular plot. It was submitted that though the specific plot has been alienated but in the whole undivided property it would amount to less than the share of an alienating co-sharer i.e. defendant No.1. He had share of approximately 250 acres in the matruka properties left by Late Nawab Jung. Similar submission was repelled by the Allahabad High Court and it was held that to the extent of the share of vendor only in the specific property, the sale could be enforced and the vendor had no right to sell the specific property which belonged to other co-sharers. The sale of a specific part of the property which was not in the vendor’s exclusive ownership, was set aside. Allahabad High Court has laid down thus : “3. The simple question that I have to decide is whether in these circumstances the plaintiff-appellants are entitled to a decree for possession of their share in the property in suit, including that portion of it which was transferred in 1920 and 1922 by Mt. Nabiunnissa to defendants Nos. 2 and 3, or to any other relief. It is not quite clear what the lower appellate Court meant by saying that the sale deed was not challenged by the plaintiffs in the plaint on the ground that it dealt with one specific plot, or in expressing the opinion that such a sale deed is only voidable at the opinion of a joint owner within six years of the transfer. The whole of the plaint shows that the plaintiffs claimed to be owners of 12 out of 24 sihams in the property which had been left by Mt. Wasiunnisa. They also claim to have been in joint possession with Mt. Nabiunnissa although the latter’s name alone had been recorded in the revenue papers. Their cause of action was that Mt. Nabiunnissa had transferred part of the property and whether their grievance was that she had transferred more than her proper share or that she had transferred a specific part of the property which was not in her own exclusive ownership, it is quite clear that the plaintiffs’ object was to dispel the cloud on their title to 12/24 sihams of the whole property which had arisen owing to the sale deeds of 1920 and 1922. It has not been clearly proved that the plaintiffs have been in joint possession of the whole of the property and they have therefore paid the Court fees necessary for a decree for possession. What is wanted, however, is a declaration that they are entitled to joint possession, and in the circumstances it appears to me that they ought to obtain such a decree. In the case of Jafri Begam v. Amir Mohammad Khan (1885) 7 All. 822, it was held that in somewhat similar circumstances a plaintiff could recover from the auction purchaser his share in the property sold on condition that he paid a proportionate share of the ancestor’s debt for which the decree (in execution of which the property had been sold) was passed. 67. In Abdul Majeeth Khan Sahib v. C. Krishnamachariar (1917) 5 LW 767, a Full Bench of the Privy Council was faced with the issue that if one of the co-heirs of a deceased Muhammadan in possession of the whole estate of the deceased or of any part of it sells the property in his possession forming part of the estate for discharging the debts of the deceased, is such sale binding on other co-heirs or creditors of the deceased, and if so, to what extent ? It was held that property of a deceased Muhammadan vests in his heir upon his death in specified share. Heirs of the deceased take their shares in severalty, as tenants-in-common and under Muhammadan Law one heir of the deceased cannot bind shares to his co-heirs. 68. In our opinion, sale beyond 14/104th share by Hamid Ali to Bala Malliah was void. The Mohammedan Law does not recognize the right of one of shareholders being tenants-in-common for acting on behalf of others. While discharging debt also they act as independent debtors. A co-sharer cannot create charge on property of co-heir. The right of Muslim heir is immediately defined in each fraction of estate. Notion of joint family property is unknown to Muslim law. Co-heir does not act as agent while discharging debt but is an independent debtor not as co-debtor or joint debtor. Co-sharers are not defined as joint contractors, partners, executors or mortgagees. (viii) In re: whether the purchaser has a right to claim equity for allotment of Item No. 6 of Schedule ‘B’ property in final decree proceedings in suit for partition ? If yes, to what extent ? If one of the co-tenants has wasted any part of the lands of the co- tenancy, the Court may take that fact into consideration and do justice between the parties by assigning to the wrongdoer the part which he has wasted. 13. The question now arises, should any portion of the property by virtue of the alienation by defendants 1 to 3 pendente lite be allotted to the share of the defendants in order to give effect to the alleged equitable right in favour of the alienees? Ordinarily it would be just and proper to allocate properties which have been alienated to the shares of the alienor. But where it is not practicable or equitable, the Court is not bound to allot those properties but might allot any other properties and the alienees’ only right is to have recourse to the properties so allotted. It may be that the substituted property or security may prove worthless but it is a risk every alienee of an undivided interest of a tenant-in-common in a specific item of property takes as a necessary incident of the alienation. Therefore there is nothing to preclude a Court from awarding to the plaintiff the immovable properties and awarding to the defendants the moveable properties which have been wasted by them, the only remedy of the alienee being to proceed against the moveable properties in their hands. But what is alleged in this case is that the alienees are bona fide alienees and they have got therefore an equity in their favour. But it seems to me the equity of the plaintiff in this case is paramount to the equity in favour of the alienees. She has been unjustly deprived of her legitimate share in the property by the wrongful act of defendants 1 to 3 aided by defendant 4, and the property was converted and appropriated for their use during her minority. She lost no time in enforcing her claim as soon as she attained majority and the alienations were pendente lite. The alienees allege that they were ignorant of the institution of the suit but that fact is in my opinion immaterial as they cannot get higher rights than their alienors, i.e. an alienee from a co-tenant takes his interest subject to the equities of the other co-tenants. But this is a case in which, if the alienees were not parties, they will be affected by the doctrine of lis pendens. The title to the immovable property is specifically in question within the meaning of Section 52 of the Transfer of Property Act. 14. A question of title has been raised, namely whether the property in the suit belonged solely to Abdul Rahiman or was the joint property of defendants 1 to 3 and Abdul Rahiman. This issue would be quite sufficient to attract the operation of lis pendens. No doubt a suit for administration has been held not to attract the operation of lis pendens until a preliminary decree for administration has been passed. But in this case the plaintiff has also prayed for partition and delivery of her share and for an account on the basis that defendants 1 to 3 have wrongfully possessed themselves of her father’s property and misappropriated the bulk of it and this suit cannot therefore be viewed as a bare administration suit. But since the alienees are formally on record and they will be bound by any decree passed in the suit, there is no need to consider the applicability of Section 52 of the Transfer of Property Act. But the principle underlying the Section will have to be applied in favour of the plaintiff, i.e. the Court in making the adjustment of equities in giving relief to her ought to confine itself to the legal rights of the co-heirs on the date of the institution of the suit without reference to the equitable rights of persons who derived title from them pendente lite as her rights should not be prejudiced by any intervening equity in the alienees. The plaintiff is entitled to say that so far as she is concerned, she is not bound to take any notice of a title acquired since the filing of the suit and "as to them it is as if no such title existed." 81. Reliance has been placed on Raghunath Rai Bareja & Anr. v. Punjab National Bank & Ors. (2007) 2 SCC 230, in which the Latin maxim “dura lex sed lex” which means “the law is hard, but it is the law” was applied. Relying upon that it has been observed that equity can only supplement the law, but it cannot supplant or override it. But when there is a conflict between law and equity, it is the law which has to prevail. 82. In the instant case, equitable right of allotment of some land other than which was purchased out of some other properties allotted to the share of vendor Hamid Ali Khan, D-1 has not been claimed in the objections filed during the final decree proceedings filed by the purchasers. The property admittedly has exchanged hands a number of times during the pendency of suit from 1935 till date and how the equity is to be worked out is always a question of fact in every case, how much share has been allotted to the share of one vendor and how much property he had already alienated till that time and what are the debts or charges on the property that are legally permissible, would be some of the relevant considerations. Nothing of that sort has been pleaded by the purchasers in the objections filed in the final decree proceedings. Though in the absence of claiming equitable right in the share of vendor’s other properties, it cannot be worked out and it is doubtful when undivided share has not been sold and the specific property had been purchased, such equitable right can be enforced. Even assuming that the purchaser could work out the equity, however in the absence of pleadings and evidence required for the purpose, it would amount to misadventure. We do not propose to give any finding on submission and its correctness, made on behalf of the appellants that defendant No.1 had gone on a selling spree like anything and before executing the sale deed on 23.11.1959 he had already sold more than 1000 acres of land which was in excess of his entitlement, in the absence of pleading by appellants or purchasers on the basis of oral submissions made before us. In the absence of requisite data, pleadings and evidence, question of working out equity in aforesaid manner, cannot be examined or gone into by this Court at this stage. The claim of equity is outcome of ingenuity of arguments made only in this Court like a drowning fish trying to catch last straw. We are not at all impressed by the submission, and consequently the same is repelled, more so considering the provisions of the Mohammedan Law that sale beyond the extent of the share of the vendor in specific property was void. (ix) In re : whether sale was for legal necessity, and thus binding : 83. It was submitted that sale was for legal necessity for benefit of estate. It has been averred in the objections preferred by the purchasers that sale was made by Hamid Ali Khan, defendant No.1, for payment of land revenue. Thus it was contended that the payment of land revenue has enured for the benefit of the entire estate. Thus sale would be valid and binding on co-heirs. Except making the aforesaid bald statement, nothing has been placed on record to indicate that the sale was for payment of land revenue. On the other hand, when we peruse the sale deed, recital of it makes it clear that the sale was effected by Hamid Ali Khan for his ‘personal necessity’. He had not executed the sale deed for payment of land revenue as its recital is otherwise which would prevail. Nor the sale deed had been executed in the fiduciary capacity acting on behalf of co-sharers rather he has claimed in the sale deed that he was the exclusive owner of 68 acres 10 guntas area of property and was in possession thereof. He had sold the land for a consideration of Rs.2000 in view of his personal necessity. The sale was made after taking permission from the Deputy Collector Division, Distt. West, Hyderabad. Thus, the sale deed negates the aforesaid bald averment made in the objection petition. Even otherwise under the Mohammedan Law, it was not open to Hamid Ali Khan, defendant No.1 to act in fiduciary capacity to sell the property and bind shares of others. It is not mentioned in sale deed that Hamid Ali Khan had sold for any legal necessity or for the benefit of the entire estate. The recital in sale deed has the evidentiary value and Bala Mallaiah and his successors are bound by what has been mentioned therein. Thus, no case is made out on the basis of the aforesaid submission also to make an interference. 86. This Court in aforesaid case has only decided the question about protected tenancy which was claimed and issuance of ownership certificate by Boddam Narsimha under section 38E. No other question was involved for consideration in the proceedings under the Act of 1950. Thus, the decision cannot be taken to be an authority on a question which was not agitated. Boddam Narsimha who filed the said proceedings had lost up to this Court and in that there was a mere mention of the fact that by virtue of the conveyance deed, Bala Mallaiah became pattedar vide registered sale deed dated 23.11.1959. There was no adjudication on the various issues as to the legality or validity of the said rights which could be conferred by sale deed and to what extent Hamid Ali Khan could have alienated to Bala Mallaiah and issue about lis pendens etc. never came up for consideration. Thus, the decision is of no help and cannot be taken to be an adjudication by this Court with respect to the rights of Hamid Ali Khan or Bala Mallaiah in matruka properties which was not an issue in the aforesaid case. The scope of the proceedings and the issue involved were totally different. Thus, no sustenance can be derived by the respondents by relying upon the aforesaid decision in which Boddam Narsimha in fact had lost. In view of the aforesaid, we find no force in the submissions raised on behalf of the respondents based upon pattedar rights as it was subject to section 52 of T.P. Act and the same is hereby rejected. At least on point of law the decision of this Court being a reasoned order has relevance and the decision in the aforesaid matter in same case also supports the view which has been taken by us on merits. (xii) In re : whether there is waiver of right by appellants : 89. It was also submitted that on behalf of the respondents that there is waiver of rights by the plaintiff and other heirs of Late Nawab Jung with respect to disputed property, and they cannot be permitted to approbate and reprobate. In Boddam Narsimha (supra), stand was taken that Bala Mallaiah was the pattedar, thus, they are bound by their said representation and cannot wriggle out of it. They have relied upon the decision in C. Beepathuma v. Velasari Shankaranarayana Kadambolithaya AIR 1965 SC 241 on the principle of approbate and reprobate as also the decision in Mumbai International Airport (P) Ltd. v. Golden Chariot Airport (2010) 10 SCC 422 in which it has been observed that the contesting respondent has blown hot and cold by taking inconsistent stands which is not permissible. 90. In fact, during the pendency of the partition suit with respect to ancestral property of Late Nawab Jang, Hamid Ali Khan “ defendant No.1 “ had alienated the property treating it as his own whereas it was obviously subject to the right of other co-shares finally declared in the preliminary decree. Bala Mallaiah and his successors have filed several proceedings, civil suit of 1993 in which they have failed. Boddam Narsimha, nephew of Bala Mallaiah also filed proceedings under the Act of 1950 for issuance of ownership certificate by virtue of their being protected tenants which case was also dismissed. Thus, the stand which was taken by appellants under the protected Tenancy Act was not at all inconsistent and did not amount to approbation and reprobation on the part of the heirs of Late Nawab Jung. Land grabbing proceedings were also instituted by LRs. of Bala Mallaiah and his brothers. The proceedings were dismissed and W.P. No.15577/2001 filed before the High Court was also dismissed vide order dated 30.1.2002. After having lost in the aforesaid proceedings, belatedly the objection had been preferred in the final decree proceedings for partition. The conduct of purchasers makes it clear that they instituted multifarious proceedings, and took inconsistent stands which were not accepted by this Court in Boddam Narsimha (supra). The appellants or their predecessors had not taken inconsistent stands. They were clearly protected by doctrine of lis pendens. (xiii) In re : whether appellants are guilty of delay or laches : 91. It was also submitted that a preliminary decree recognized the rights of the transferees to be adjudicated at the time of final decree proceedings and no steps were taken by the legal heirs after passing of the preliminary decree way-back in 1970 to implead them. The proceedings for final decree were initiated in the year 1984. The appellants have not taken prompt steps, as such they are not entitled to any indulgence from this Court. Reliance has been placed upon Municipal Council, Ahmednagar v. Shah Hyder Beig (2000) 2 SCC 48 to contend that any delay on the part of the parties defeats the rights. 92. We are not impressed by any of the aforesaid submissions. The preliminary decree passed in 1970 was clearly against the interest of the purchasers as their vendor was not found to have the rights which was not assailed by them. The preliminary decree attained finality in the year 1976 and proceedings for final decree taken in 1984 were within the period of limitation. As a matter of fact, LRs. of Bala Mallaiah and his brother etc. took steps in the year 1993 and onwards by filing successive cases as enumerated above. There was no delay on the part of the appellants defeating their rights. It was the respondents who having lost in the three proceedings one after the other, raised objection in the year 2004 in the final decree proceedings. What prevented them from doing so in the year 1993, has not at all been explained. Thus, it is they who are responsible to delay in the final decree proceedings in a partition case instituted in the year 1935 and the matter is still pending in the shape of instant appeals before this Court. (xiv) In re : the effect under the Urban Land Ceiling Act : 93. It was also submitted that under the Urban Land Ceiling Act proceedings, the land was not shown to be belonging to the heirs of Late Nawab Jung. The orders passed in urban land ceiling case have not been placed on record. That apart, it was stated that the proceedings lapsed due to repeal of Urban Land Ceiling Act. Be that as it may. The respondents are purchasers from branch of Bala Mallaiah whose vendor was defendant No.1. The property has further exchanged hands. Since the orders have not been placed on record, in the aforesaid factual scenario, we decline to examine the aforesaid proposition further and we were not apprised how the purchasers could claim a better right than the one possessed by their vendor. We leave it open to the State Government to examine the question of ceiling and effect of the decision. 94. A compromise petition has been filed with respect to area 18 acres 25 guntas. As per the compromise the division of the property has to take place between the appellants and the newly added respondent Nos.87 to 127. Same was objected to by one of heirs. It will involve transfer of the property, hence, we leave the parties to have resort to an appropriate remedy in this regard. It is found not to be recordable in the form of transaction in which it has been filed. 95. Resultantly, the appeals are allowed. Impugned judgment and decree passed by the High Court is set aside. The final decree of the Trial Court is restored. Costs of Rs.1,00,000/- to be paid within two months from today.